CrÃº has been a favorite holiday wine country dining destination for years. This holiday season, share one of your hometown favorites with your friends and family. The holidays can be hectic! Let CrÃº take some of the worry out of your holiday dining, so bring your family and friends to CrÃº for a wonderfulÂ Christmas dinner. With their warm candle-lit ambiance, CrÃº is a hospitable and gracious setting for your holiday gatherings. Add to this an unparalleled by-the-bottle wine list and a special chef-driven dinner menuand you have an unbeatable, unique dining experience. Give a spectacular dining experience and a meal they will always remember, and you wonâ€™t have to spend hours picking it out. Treat your friends and colleagues to the exceptional experience youâ€™ve come to expect at Cru. Gift cards are available for purchase at Cru or call us at 214.220.3836 with your gift card request. Gift cards can be used at any location and also at Ferre, Steel andÂ Victory Tavern. 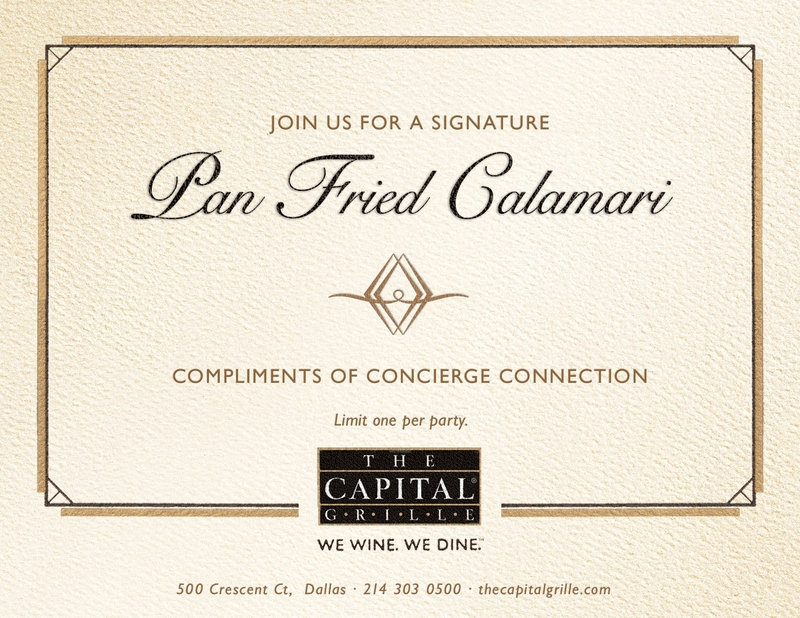 (Gift Cards cannot be used for catering or private dining functions). Buy $100 in Gift Cards and Receive a bonus $20 Card for Free. Cru’s New Year’s Eve Dinner and Celebration is fast becoming the toast of the town, and you won’t want to miss it!Â Â Enjoy a special 4 course choice menuÂ on New Year’s Eve. Gala Seating includes a complimentary Champagne Toast and Party Favors. Please call your favorite location for reservations.